While a wound or gash in the skin whether due to a burn, acne, accident, or surgery may not take a long time in recovering, the scars it leaves, especially on the most-exposed areas of the body such as the face or neck, etc. can create an otherwise irrevocable damage to the appearance. 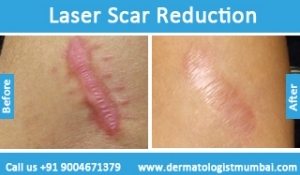 Fortunately, modern science and advanced dermatological technologies that are available today can minimize the visibility of a scar, or otherwise treat it surgically. 2) Laser Treatment- In laser scar treatment short pulses of extremely fine laser beams are made to reach the layers of skin beneath the outermost layer to treat the support structure. 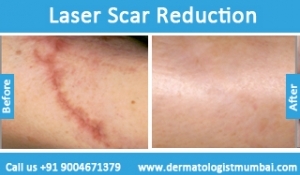 Fractional carbon dioxide laser, world gold standard in treating scars, and the erbium laser are what are used.Post the procedure,the body’s natural healing process kicks in and starts clearing away the damaged tissues only to replace them with new ones using fresh elastic and collagen- both of which being the building blocks on healthy skin. 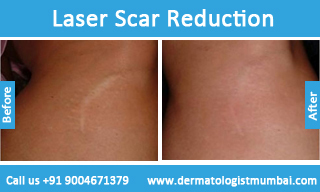 Laser treatment is most suited to an individual who has deeper scars, wants fast results, with minimal discomfort. 3) Chemical Peels- Chemical peels is one of the most common and also one of the safest scar removal procedures available today. In this treatment a chemical solution is applied to the skin area where the scar is present and as solution is peeled away the outermost layer of the skin is removed in the process thereby revealing a new and fresh layer of skin. Chemical peels can be best used for the treatment of mild to moderate scars, wrinkles, acne, and even dark spots. Keloids are itchy, puckered clusters of scar tissue that grow around wounds or incisions. Generally of the color red or a shade of the same keloids are produced when a body continues to create collagen, which is a dense fibrous protein post the healing of a wound. The development of keloids is found to be more prevalent in those people who have darker skin in comparison to those who have lighter one. Also, keloids are more likely to appear on earlobes, breast bone, and shoulders in comparison to other parts of the body. Cortisone injections (steroid injections) are the most efficient form of treatment available for keloids removal. The procedure is not only safe but simple too. 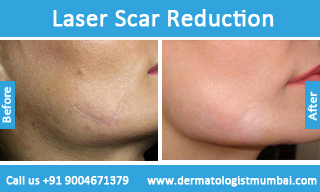 The injections are given to the patient once in every 4-8 weeks and are generally able to provide results quickly. 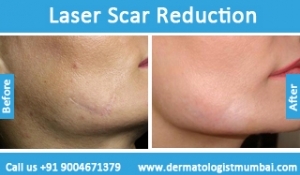 Whether you seek a scar removal treatment for cosmetic reasons or functional reasons it is important that you be careful with your choice of cosmetician or dermatologist. This is because only the dermatologist can properly consider the severity and nature of the problem and suggest the best treatment suitable for it. The dermatologist will also shed light on the possible outcomes of the procedure, estimated time required for the results to show. The treatment for every type of scar is different. For instance, burns can damage the skin badly and cause it to heal in a puckered way later on. During the healing period the tendons and muscles can be affected due to the contracting movement of the healing process. 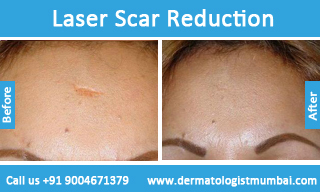 Due to these alterations the skin might continue to produce collagen even after the healing is finished. This results in ruddy scars called keloids. 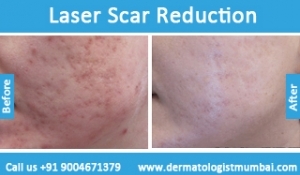 In comparison to the treatment for acne scars the treatment of keloids will be quite different, and a good and experienced dermatologist shall be able to pick one easily. 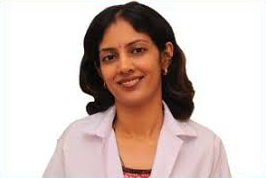 We strive to offer the best treatments at prices that shall not burn holes in your pockets. For best results and the satisfaction of our customers we deploy some of the most advanced technologies and equipment’s. And, if in doubt you can always fill out the appointment form available on our website to inquire about anything from costs, details of procedures, to our staff and facilities. Our representatives would be more than happy to assist you in every aspect.